The Ministry of Education is planning to offer an online language learning course for the 250,000+ Latvian émigré community. In conjunction with the World Federation of Latvians a functional specification was produced which led to the development of an initial prototype. The prototype was presented to various parliamentary committees & interest groups in order to seek further funding for the project. 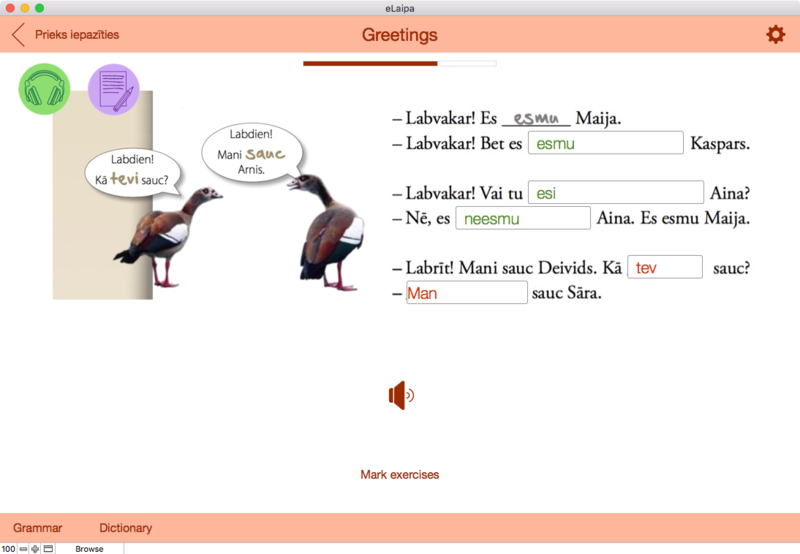 The prototype runs on an iPad and makes use of both the microphone, audio and video playback features resulting in a compelling interactive learning tool for the Latvian language. The user has the ability to listen to conversations, record their own voice and compare their pronunciation with the built-in audio, watch language videos and complete exercises which are checked and graded.